Have you ever thought of having your sketch? For this, you need to find a good sketch maker and pay him to make your sketch. This is the older way of having a sketch. Now, there are so many tools available that can convert a picture into a pencil sketch. Photoshop or other good photo editing tool has this kind of ability. But most of those tools are paid. I am sure you know the cost of Photoshop. Do not worry, there are few nice online tools that can perform this task. You can use these free online tools and convert a photo into a photo sketch. In this post, I am listing 3 free online tools which you can use to make sketch of your photo. Photo Pencil Sketch is a nice tool that easily converts a photo into a photo sketch. Just upload your photo and click on continue link. It will convert your photo in a pencil sketch. You can also convert upload a photo from your Facebook, Picasa or Flickr album to convert into a sketch. PhotoFunia is another nice tool to convert a photo into a sketch. Just visit the link and click on big Choose file button. You can also add a photo from webcam. 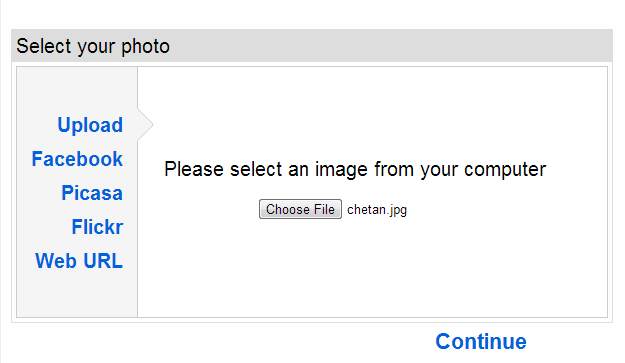 When you are done with selecting photo, click on Go button. 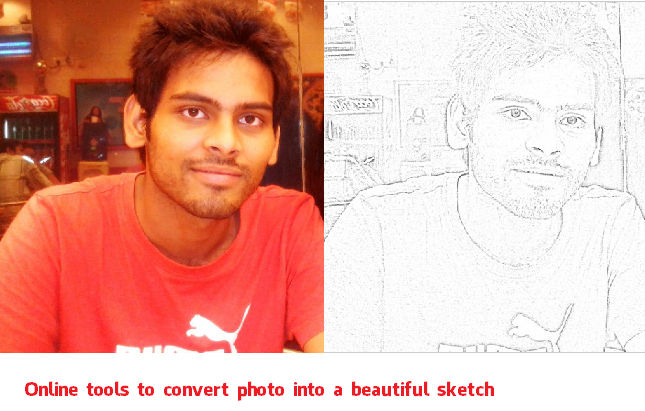 It will process for few seconds and will give you the sketch of your photo. SNAPSTOUCH is another nice photo tool that helps you inn converting your photo into a beautiful sketch. Browse your file, select tick marks if you want those options and then click on upload button. Now it will upload your photo. Then click on Sketch IT button above the photo to convert photo into photo sketch. Use these tools and share your experience with us via comments. If you know any good sketch making tool that should be in the list, share it with us.